We’ll have our pick for best booth in about two hours, but yesterday Reviewed.com gave its CES 2014 Editors’ Choice award to Super Joey, the new accessory for Hopper that gives it two additional tuners. We were impressed by Super Joey when we saw it in person and we’re glad to see that people who just got into Hopper in the last 12-18 months won’t have to swap out equipment in order to get more capabilities. This award brings to mind last year’s fiasco, where the Hopper with Sling actually won the CES Best in Show award, only to have the decision overridden by CBS management (c|net was the awarding body at the time and is a subsidiary of CBS) because of CBS’ lawsuit against DISH. That move cost c|net its position of official CES news source, a position now held by Engadget. The award to Super Joey certainly brings up the question of whether Reviewed.com is actually trying to right a wrong from last year, or if they are trying to legitimately reward DISH for a product done right. 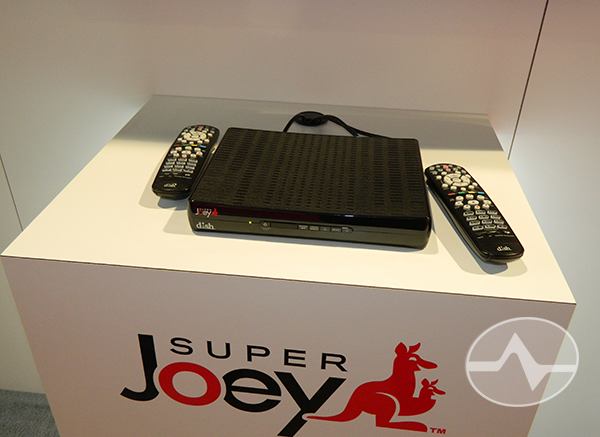 LAS VEGAS–(BUSINESS WIRE)– At the 2014 International Consumer Electronics Show (CES), the new Super Joey™ from DISH Network L.L.C., a subsidiary of DISH Network Corporation (NASDAQ: DISH), received the CES 2014 Editors’ Choice award from Reviewed.com. Reviewed.com is the official Editors’ Choice Media Partner for the Consumer Electronics Association (CEA), which is the governing body of CES. DISH’s Super Joey enables customers to record up to eight shows simultaneously, virtually eliminating channel conflicts.